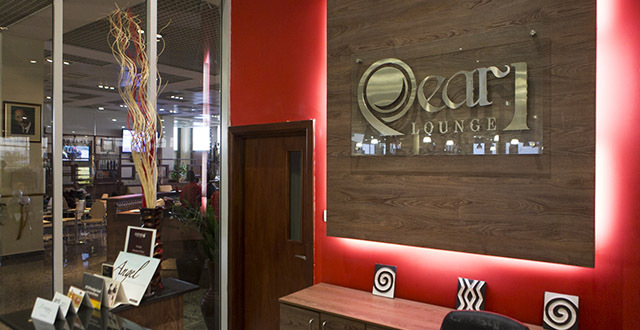 If you’ve flown out of Kigali at any point in the past several years then will have noticed the Pearl Lounge – Kigali’s airport lounge. Business class travellers or people who manage to scam an upgrade are given access to the lounge for free (Priority Pass, Diners Cards, Airport Angels cards and MTN Prestige passes also allow free admission) but, rejoice, for this lounge isn’t just for the fancy travellers among us. 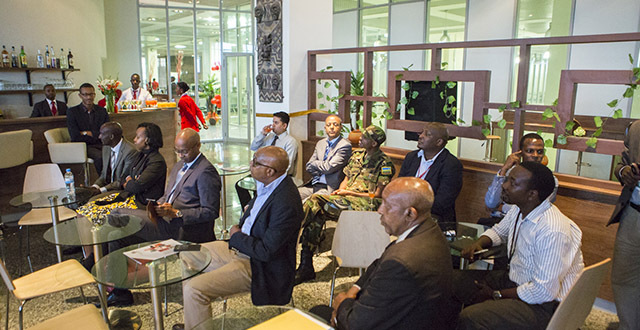 Unlike most member-only lounges found in airports worldwide, us mere mortals who travel in economy are able to access to the Pearl Lounge for a very reasonable US$30 (or Rwf 20,000). MTN Prestige members can enter for free. Included in the price is wifi (with a good connection for Kigali), all-you-can-drink juice and soft drinks, water, beer (yes, beer! ), wine (yes, wine! ), spirits (yes… that too! ), tea, and coffee. They’ve also got snacks like bread, cheese, croissants, chips and nuts. 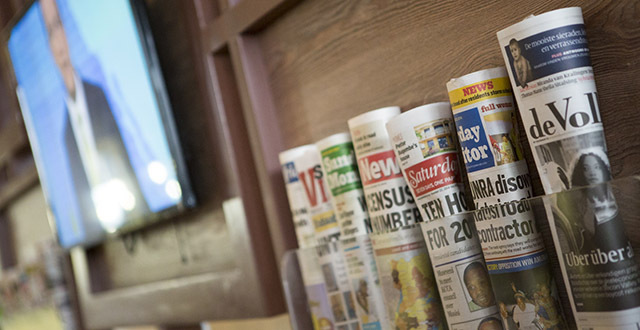 Newspapers and magazines are available and there’s a TV which was turned to Al Jazeera when I was there but I’ve often seen it playing football matches. Either way, you can chill out in the comfy chair area and enjoy some TV before your flight. Or if you’re rather get more horizontal, there are a couple of couches tucked away off to one side. If you’re like me and prefer to get to the airport somewhat ridiculously early and then just relax, then the Pearl Lounge makes a lot of sense. Normally I’d hang out at Bourbon, paying about $10 or $15 on an overpriced coffee (the Bourbon airport prices are higher than in town and the drinks are smaller) and a sandwich. Then I’d probably buy a giant Toblerone and shuffle off to the cramped waiting area eating chocolate until I feel sick as I wait for my flight to board. I’d much rather pay a bit more to relax in a comfortable chair with a glass of wine, fresh juice, and some snacks while reading the paper, using the internet or just chilling before a long flight. The lounge is always open. As a lowly economy traveller, I haven’t encountered many airport lounges in my day. Actually… maybe none. But as I’m typing this, I can hear some American-sounding-people behind the wall at the reception desk discussing amongst themselves how nice of a lounge this is. So I guess that means it’s nice. I like it too. It’s spacious and comfortable and has everything you’d need to chill out a bit before getting on the plane. It might not be worth the price if you’ll only be in there for a half an hour or so before your flight boards. But if you like to arrive early, ditch your bags and unwind a bit before flying then I think paying to access the Pearl Lounge is a good buy. Especially if you like beer, snacks, and good coffee! Great lounge and worth it for adults. However, they charge 25 dollars for my 2 year child which is completly out of proportion so I will not be going back for a long time! !